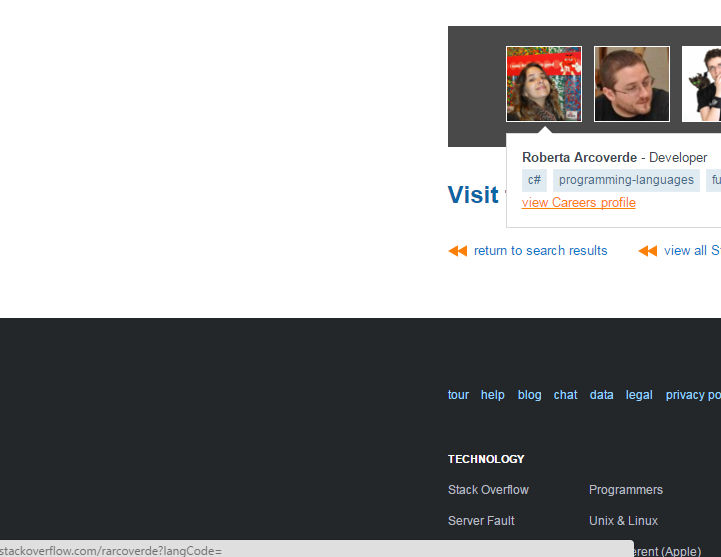 On a company page there is a section called "Who you'll work with". 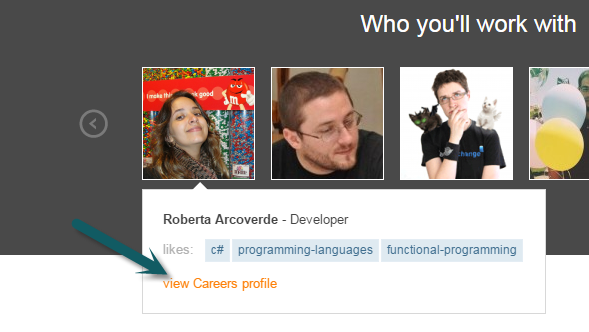 When you hover over a person you have the option to View Careers Profile, can this be changed to View CV. Sometimes clicking back button fixes the issue, other times it doesn't. Excellent catch, Jon. Thanks for the report. All that should be fixed now. Not the answer you're looking for? Browse other questions tagged discussion status-completed jobs .